HONOLULU'S PLUMBING SERVICE EXPERTS Kama'aina Plumbing is a full service Hawaii plumbing company dedicated to serving all of Oahu's plumbing and remodeling needs with honest, prompt, professional and dependable service. If you want it fixed and installed right the first time then call Kama'aina Plumbing! Like our motto states, there is "No Job Too Large or Too Small." Whether you're in need of a full residential installation or simply need to fix a leak, a certified Kama'aina plumber will be there to help. We also run a responsive 24-hour Emergency Service that covers the entire Island of Oahu. We specialize in heat pump installations, solar water heater, residential remodeling, commercial construction and remodeling, bathroom remodeling, tiki torch installation and many other plumbing services. Kama'aina Plumbing is a locally owned company motivated to provide its Hawaii plumbing customers with superior quality and outstanding customer service. With more than 37 years of experience in the industry, Kama'aina Plumbing is committed to serving Hawaii's commercial and residential plumbing customers. We are proud to retain an impeccable record with the Better Business Bureau of Hawaii. Contact us to learn more about our Honolulu Plumbing Services. Diamond Head Plumbing has been serving the island of Oahu for over 35 years. We specialize in plumbing repair and kitchen and bathroom renovations, and are a fully licensed and insured general contractor. From big to small jobs, we can handle them. "If You Can See Diamond Head, Call Us!" All activities involved in producing new bathroom fixtures impact the environment adversely. With bathtub refinishing performed by ecoTub Solutions, carbon footprints for individuals, hotels, apartments and government agencies are drastically reduced. Bathtub Restoration – Why Choose Us? 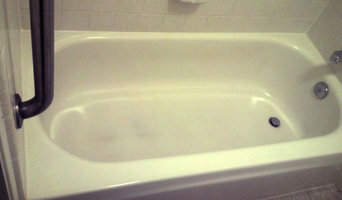 ecoTub Solutions is your reliable tub restoration company in Hawaii. Be informed before you choose a bathtub restoration company or method. You can count on ecoTub Solutions to refurbish your tub, shower, and sink without harmful chemicals, odors, or waste. Most refinishers use acid etching agents that usually contain hydrofluoric, phosphoric or hydrochloric acid. These acids can cause damage to other surfaces, and the fumes are a potential harm to pets and family members. People with respiratory conditions or asthma are more vulnerable to exposure and the toxic gases can cause serious health problems for the elderly or children. With the increase in awareness of indoor air quality and the safety priority of hotel guests; many in the hospitality industry have taken the issue of fumes very seriously. Fumes from tub re-glazing can cause allergic reactions in many people for days after the work was done. IF YOUR TUB CANNOT BE RESTORED NATURALLY, WE DO OFFER A LOW-VOC OPTION FOR BATHTUB COATING. Replacement of bathtub or shower stall liners could be a viable alternative to refinishing because they can be replaced as needed. Unfortunately, liners can be costly, have a plastic appearance, and add more to landfills when they are replaced. DIY, or Do It Yourself, bathtub and tile refinishing kits have high failure rates and hazards associated with their application. The worst problems are the mess and subsequent peeling. Once it has begun to peel, the finish needs to be stripped before the surfaces can be refinished again. Having a professional refinisher redo the work adds even more cost to the project. EPS Hawaii has a 24-hour Call Center in Honolulu, Hawaii to answer your emergency calls with a live operator, 7-days a week, 365-days a year. Our response is island-wide, and we can be in most locations on Oahu within 30 minutes. Emergency Plumbing & Solar is an insured and licensed contractor in the state of Hawaii. We are professionally trained and fully prepared to handle any plumbing situation on Oahu Hawaii. Allens Plumbing is your local professional plumbing company, proudly serving Oahu, HI and the surrounding areas. Be sure to call us for plumbing repair and installation services that you can trust. Enjoy peace of mind today! Steve's Plumbing Service Inc. is a full service plumbing contractor operating in Oahu. 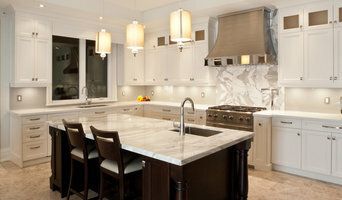 Their professionals are highly skilled at both commercial and residential plumbing. They provide high quality plumbing repairs, installations, maintenance, and replacement services. They have over thirty years of experience in the plumbing industry. 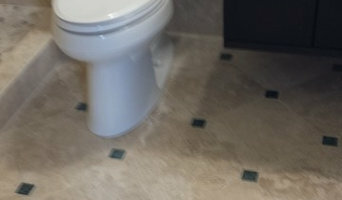 With a lot of plumbing work done behind walls and underneath floors, some Hawaii, HI plumbers will also repair or replace tile, stonework or other surfaces, if need be. You’ll find most Hawaii, HI plumbers provide a variety of services, including maintenance and construction, covering gas, solar and electric. However, some will have areas of expertise. A 24-hour plumber, for instance, will be well versed in residential emergencies and repairs, while others may be more experienced in renovations and new homes, or the installation of septic systems, rainwater tanks, pumps and other special water and drainage systems. Find Hawaii, HI plumbers on Houzz. A leaking toilet or blocked drain can do more than just water damage, so never wait too long to call a local plumber. Start your search on Houzz by browsing the Professionals section of the site. If you're undergoing a renovation or home construction, you may also look through Photos to find local plumbers who have worked on projects similar to yours. If you’re planning a large-scale project, find other professionals on Houzz who can help get the job done. Here are some related professionals and vendors to complement the work of plumbers: Building Project Managers, Septic Tanks & Sewage Systems, Kitchen & Bathroom Designers, Kitchen & Bath Renovators.